Nissan's 2018 370z Nismo. How could I say no to a rear wheel drive, manual transmission sports car with a beefy V6? 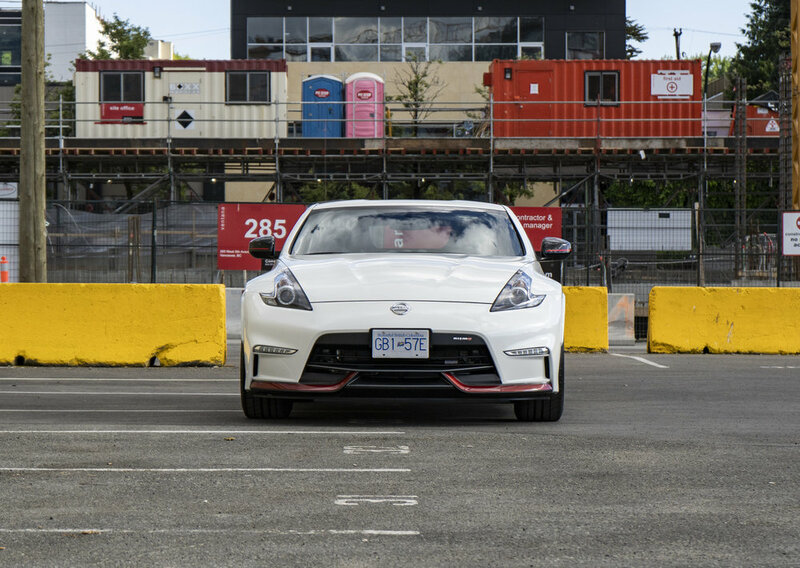 Disclosure: Nissan Canada & JS Auto provided me with the 2018 Nissan 370z Nismo for a week to test drive, and photograph. All photos in this blog post was taken by me. Do not look for a good ride feel. The suspension is pretty harsh on rougher roads. It may not be a good daily driver unless you're always on smooth roads. Poor visibility! Lots of blind spots! Space and ride comfort is not a priority so passengers shouldn't expect it. The harsh suspension, and noisy cabin may not be a fun car to daily but it can hold its own on the track. If you're in the market for a rear wheel drive sports car take a look at the 370z.